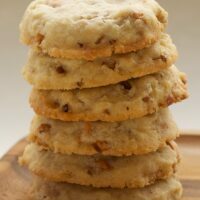 Not only am I posting two cookie recipes in a row, but they both also feature pecans. That probably doesn’t surprise many of you, as I am a proud pecan fan. One of the beauties of these cookies is how easy they are to make. They are one of those elusive one-bowl recipes for when you want to bake but you don’t want to clean up endless bowls, beaters, etc. Honestly, that’s most of the time for me these days. These particular cookies are from Sticky, Chewy, Messy, Gooey. This is the same cookbook that brought us these ridiculously decadent and delicious sticky biscuits. These are not recipes for the amateur sweet eater. I saved a few of these for me and Quinn and sent the rest to his co-workers. My favorite comment from them was that these cookies are diet-breaking worthy. I couldn’t agree more. They are that perfect crispy on the outside, chewy on the inside cookie, packed with chocolate and toasty pecans. Diet or not, make them and make them soon. Place butter in a large microwave safe bowl. Microwave until melted, about 1 minute. Add both sugars to melted butter and stir until combined. Add salt, vanilla, and eggs, stirring until smooth. Stir in flour, baking soda, and baking powder until just combined and a soft dough forms. Fold in chocolate and pecans. 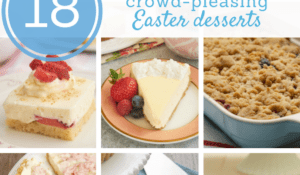 Scoop dough in desired cookie size onto lined baking sheets. Refrigerate until firm, about 30-45 minutes, depending on the size of the cookies. Leave room between cookies for some spreading. Preheat oven to 350°. Bake cookies until golden around the edges but a little soft in the center. Baking time will vary depending on the size of the cookies. Smaller cookies (2-inch diameter) bake for 13-15 minutes. Larger cookies may require up to 18 minutes. Cool on baking sheets on wire racks for a few minutes. Then, transfer from baking sheets to wire racks to cool completely. Recipe adapted from Sticky, Chewy, Messy, Gooey: Desserts for the Serious Sweet Tooth. These look sooooooooooooo worthy of diet breakage. Thanks for the excuse to indulge! Woah, soooo amazing! 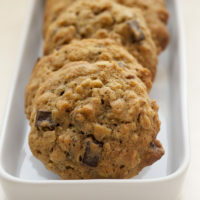 I have been wanting to use pecans in chocolate chip cookies for a while, now it’s meant to be! Looks very appetising, its thicker than regular choc chip cookies, adding to chewiness! looks great…and easy! 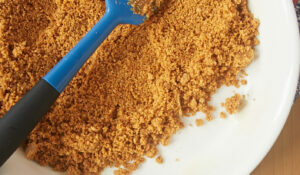 what size scoop did you use and how long did you bake? non, I updated the recipe to be a little clearer. I made 2-inch cookies and baked them for 14 minutes. The original recipe was for giant cookies scooped with 1/4-cup measuring cup. Those will definitely take longer to bake! These look so tasty! Thanks for the post. Well seeing as how I’m on a diet (hah), I’m trying to only indulge in diet-breaking worthy treats. And these definitely look worthy. Thanks for your tweet, I was very happy! It looks delicious, as always!! !… I can´t wait to bake them. Oh wow. Those look sooooo good! 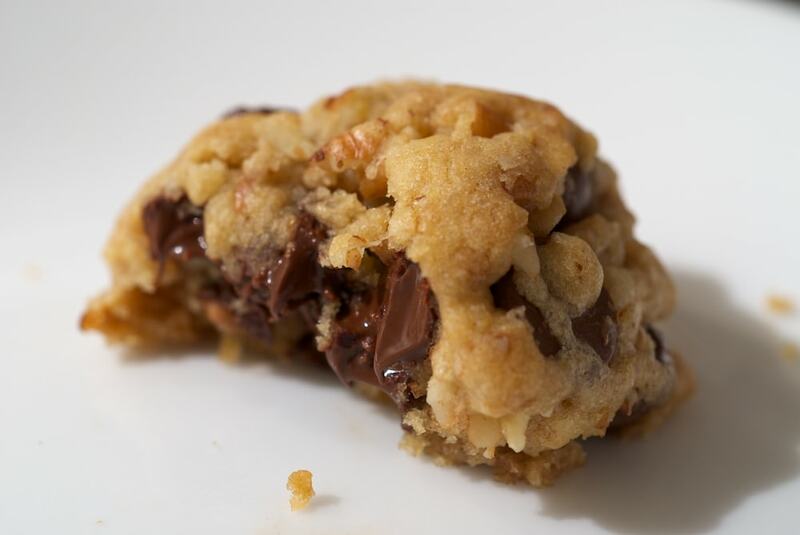 Have you tried Levain’s cookies in NYC? Yours kinda look like theirs…aka I will NEED to try them! Mollie, it’s been a while, but I have had a cookie from Levain. Mmmmm… Thinking about them is making me want to make a trip uptown to get one! This is a new one for me I haven’t seen pecans and chocolate chips together in a cookie. They look amazing and I can’t wait to give them a try. These are great! I made them today, following Jennifer’s suggestions regarding size and baking time, and mine looked just like the photo on the website, are a little cakey inside, crispy outside, and taste divine! 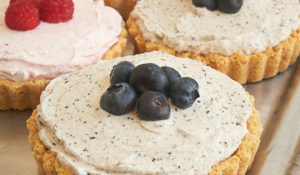 Just make these today since I am craving sweets! Holy yum. It is so much better than alton brown chocolate chip cookies!!! 😛 thanks for a wonderful new recipe. Thank you for sharing this recipe … I made them over the weekend for my hubby (did the same thing … kept some at home and sent the rest to his office). They are delicious and definitely worth making!!! Mine too look just like your pictures. Pictures make me want one right now! This is my first trip to your blog. Thank you for sharing this recipe. 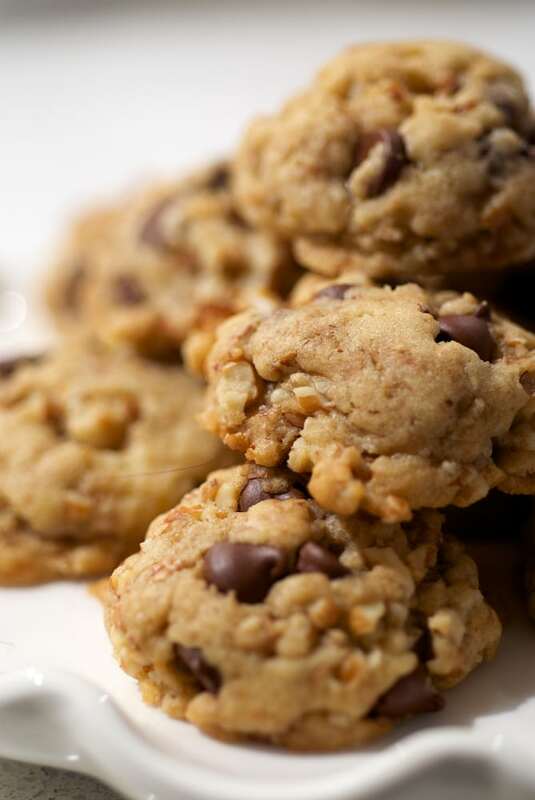 I love gooey cookies but I think I would share them too in order to save my waistline! I love how the chocolate is just oozing out of the cookie. I mean that must have been the perfect moment. What is it about chocolate and pecans that make them such a delicious combination? These look amazing. I can’t wait to give them a try! They look like a perfect thickness. These look amazing. I can’t wait to give them a try! YUM-E! (as my daughter would say) Those look crazy good! 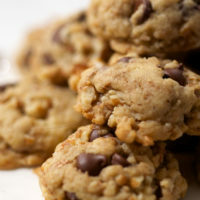 those looks so delicious, i’m a huge fan of chocolate chunk cookes, with a nice glass of organic milk 🙂 I’ll have to try this recipie but I’m not a big fan of pecans so i may try it with peanuts instead and see what happens! Oh. My. Goodness. These look amazing! Wow–can’t wait to try them! 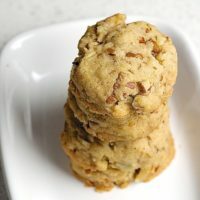 I like the simplicity of your Chocolate Chunk Pecan Cookies – the recipe, the directions and the photo, expecially your cover photo. It all ties together. Brilliant. I must say, the camera you use or wherever these photos come from are excellent! The quality looks so real..i could taste it! I can’t wait to try this recipe out and hopefully mine come out as delectable looking as those! These look really good. Pecans are the best cookie nut, although Macadamias would come in second, especially if you’re looking for something rich & decadent. The poor walnut gets neglected at my house. 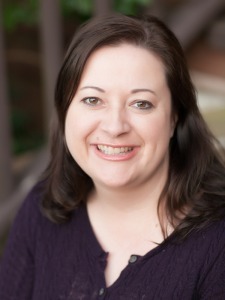 Congratulations for your beautiful blog (which I’ve only just discovered…). These cookies must be truly delicious..will have to bake them soon! I’m going to make these as gifts this father’s day! 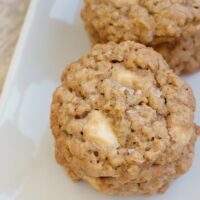 I made these cookies and they were a hit! They were absolutely delicious. I made a second batch and used walnuts. Those turned out just as great! Thanks for sharing this recipe! 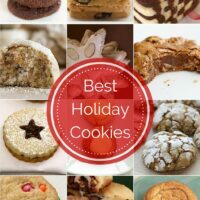 I made these cookies for my family and they were a hit as well….now I have to make them every other day!! I made these today. Mine did not end up like the picture. I was hoping for the thick hunk…but they looked like normal cookies. Delicious…but not like your picture. Did I perhaps make them too big? These are BEAUTIFUL! My daughters will love them! I am always looking for Chocolate Chip Recipe to fall in love with! Perfect for me to take to the tailgate this weekend! wow these look absolutely delicious….I love cookies!!!! Hi!! These cookies are my favorite!!! I wanted to ask if I can substitute the butter for something else? Thank you. Hi, Gladys. I suppose you could use shortening, but I don’t have much experience with using it as I don’t bake with it. Ok so i didn’t use the shortening after all, didn’t want to risk it. However I did bake some today and they were “flat” they didn’t look as pretty and thick as on picture. 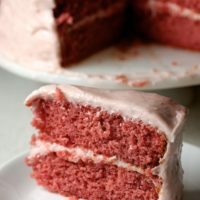 I have baked these before sometime during winter last year and they came out just as picture above, but these last times I have been baking them I have not gotten the same result as the first time… I am wondering what I did wrong? Any ideas? Hi, Gladys. Flat cookies are usually a result of over-beaten butter or warm dough. An easy thing to try is refrigerating your dough for a bit (anywhere from an hour to even a couple of days) before scooping and baking. Thank you!! I will keep that in mind next time 🙂 I did leave the dough in fridge longer than 45 min but I may have over beaten the butter.